Ancestry.com Surges After News | Headline OTC - Your #1 Source for Breaking Headlines in the OTC Stock Markets and Beyond! Ancestry.com Inc surged 16.03% to $26.52 on 1.52 million shares after the company reported that it ended the fourth quarter with 1,703,000 paying subscribers, above the company’s guidance of 1,685,000 — 1,695,000 subscribers. Monthly churn declined to 3.8% in the quarter, down from third quarter 2011 and fourth quarter 2010. The company remains comfortable with its previously issued financial guidance for the fourth quarter and full year ended December 31, 2011. The company currently expects 2012 adjusted EBITDA margins to expand year-over-year, exclusive of ongoing investment in the company’s DNA product initiative, which could range from $10-$15 million in 2012. The company anticipates reporting its full financial and operating results for the 2011 fourth quarter and fiscal year on February 15, 2012. 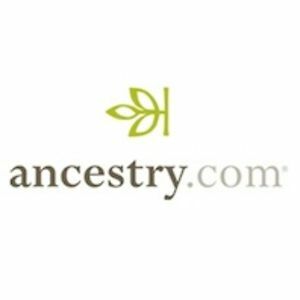 Ancestry.com is an online family history resource. As of December 31, 2011, the Company had over 1.4 million paying subscribers worldwide. The foundation of its service is a collection of billions of historical records that the Company has digitized, indexed and put online over the past 14 years. Written by: Richard Carlyle on February 27, 2012. Last revised by: ankitMay 14, 2012.